REDEFINE YOUR WAY OF INTERACTING WITH LIGHT! 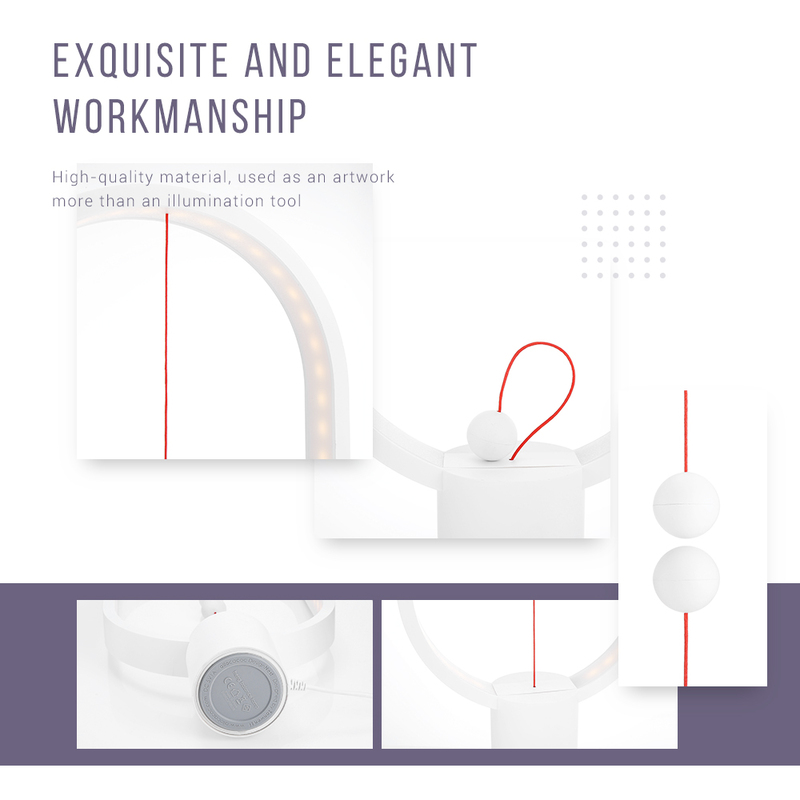 The somewhat futuristic design imagined for this LED mood light makes it a true work of art that you will admire at your leisure with great pleasure. ✔️ Warm Light Effect: 8pcs LEDs light beads, 50,000 hours of companionship, warm light for your eyes, it will bring you a quiet and warm home. ✔️ Balance Design: Controlled by two magnet balls. 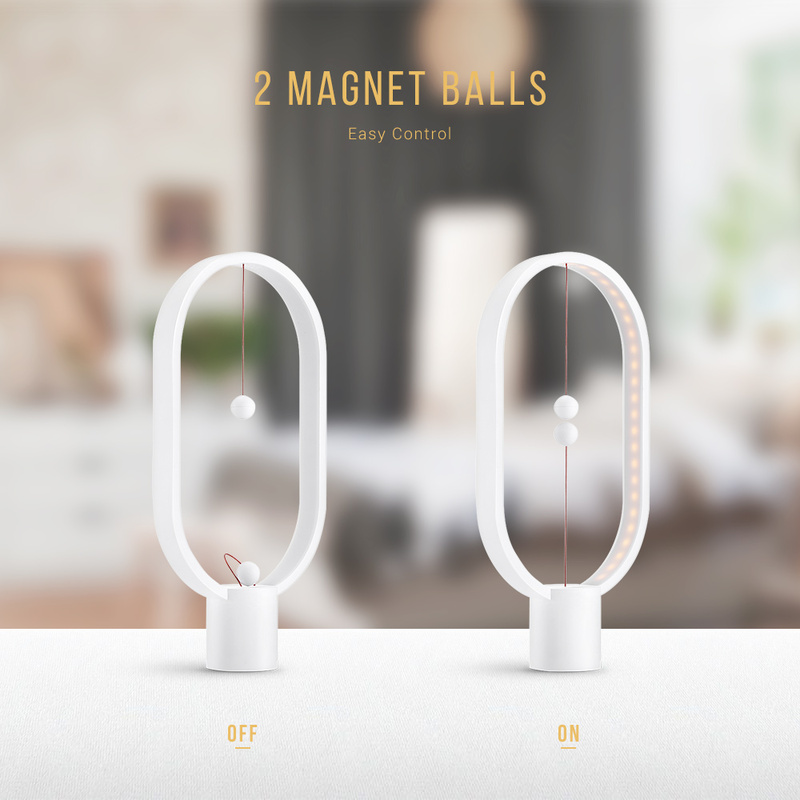 When you lift the lower magnet ball, it will be attracted by the hanging one and remain suspended in mid-air, switching on the light. 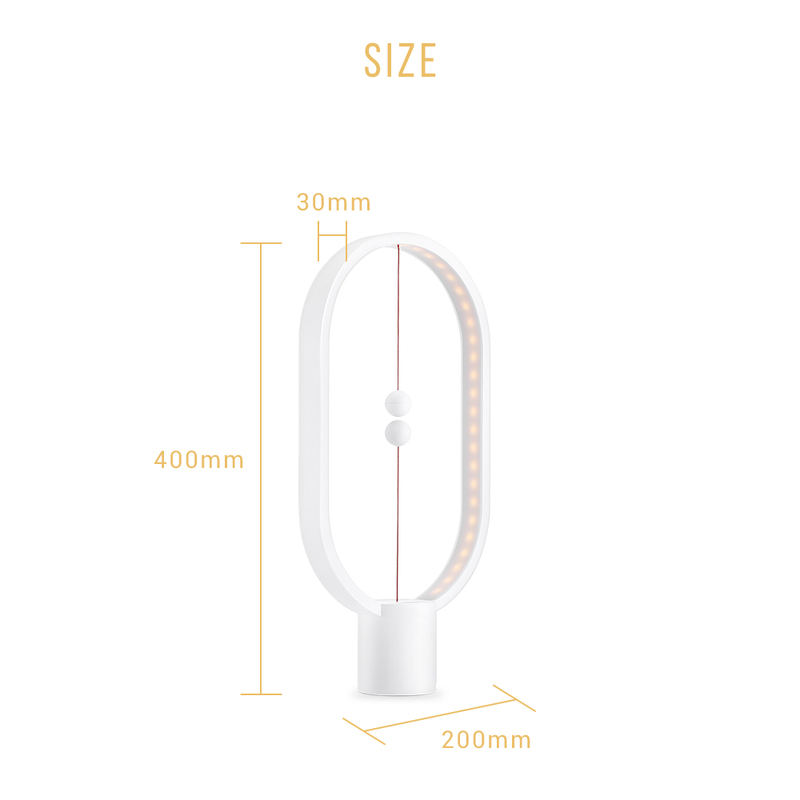 ✔️ Not only a Night Lamp: This creative small lamp is suitable for the study, bedroom, etc. Most types of rooms will benefit from this lamp, as besides a source of light, it is also a piece of art. ✔️ Elegant Appearance:This lamp is adopted a design where the lighting element is embedded into the frame so the light can find its way out. The gentle curve makes it easy to the eye and calming. 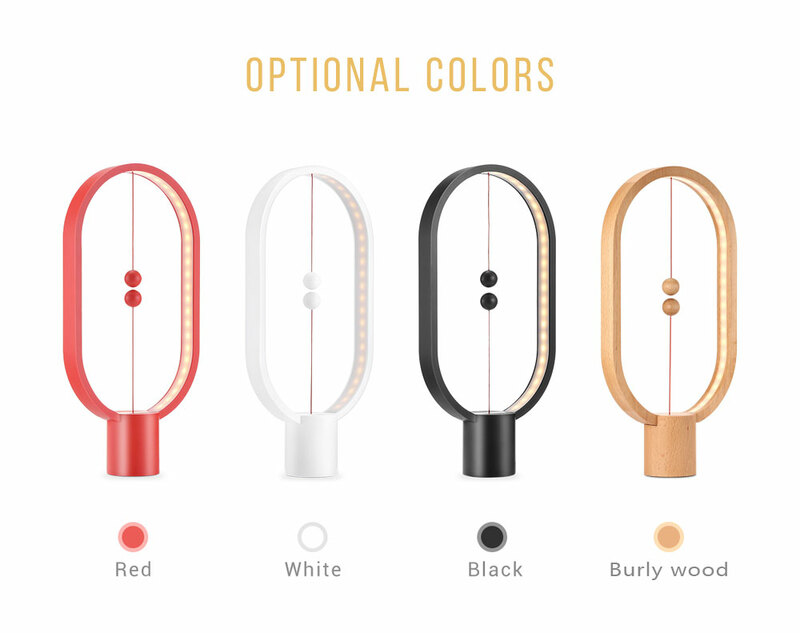 ✔️ Exquisite Workmanship:The outside frame of the lamp is made of ABS (white, back, red type), wooden( burly wood type), making it durable to use. 👉Put a warm and luminous touch elegantly in the rooms of your home by clicking now on "Add to cart" to receive your Levitation Balance LED Lamp as soon as possible !